Directions: Print out tree template (below) or draw your own. Cut it out. Trace it onto felt and cut it out. 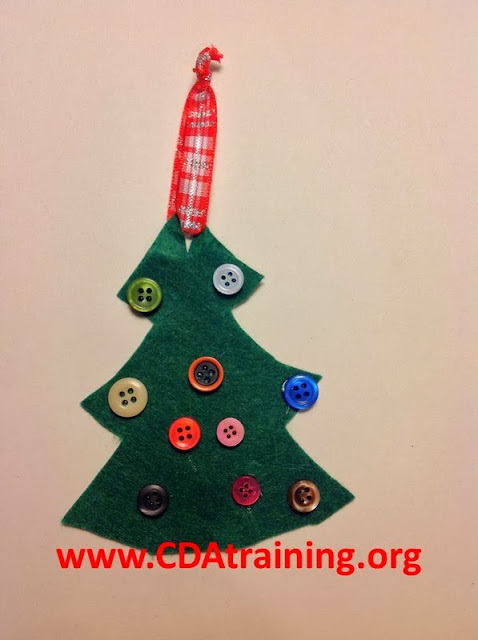 Sort through your buttons and choose your favorites and then use Elmer’s glue to decorate the tree with buttons or other colorful items. 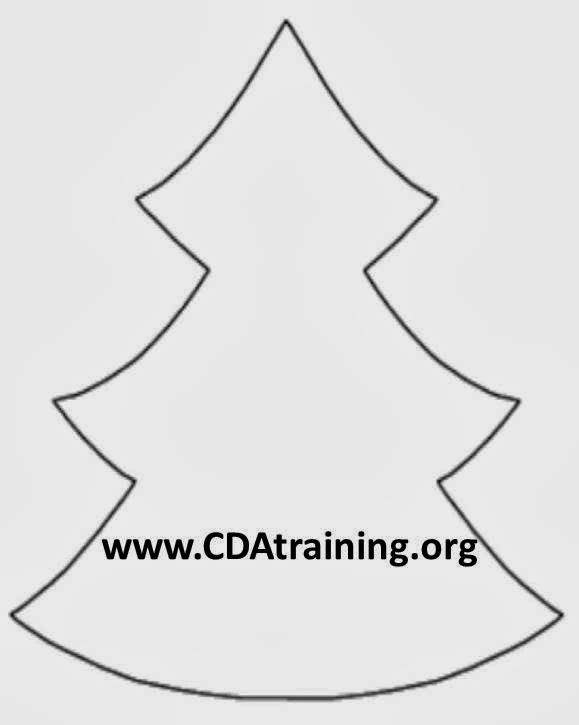 Use an awl or the edge of scissors to make a hole through the top of the tree. Thread a piece of ribbon through the hole and tie a knot to make a loop.